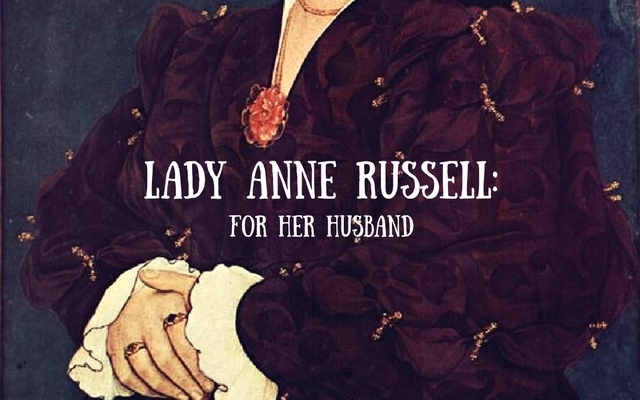 Lady Anne Russell is best-known as Countess Bedford and wife of the Lord Privy Seal. She was married several times with her most notable husband being her last, Sir John Russell. Sir John was named Lord Privy Seal by Henry VIII after the execution of Thomas Cromwell who held the title prior to his death. As any woman, Anne’s station was raised alongside her husband’s increased rank. Through her marriage to Sir John she gained the title of Countess of Bedford in 1550. In this article we’ll look into a letter that Anne sent to Sir Thomas Cromwell in 1538 when her husband was ill. But first, we’ll look into the life of Anne Sapcote as well as her third husband Sir John Russell. Anne Sapcote was the daughter of Sir Guy Sapcote and Margaret Wolston. She was married three times. Firstly to John Broughton, by which she had four children. Secondly, she married Sir Richard Jerningham. Lastly, she married Sir John Russell. They had one son together, Francis. 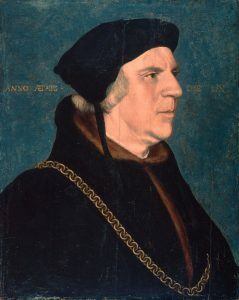 Sir John Russell became Lord Privy Seal after the execution of Thomas Cromwell in 1542. 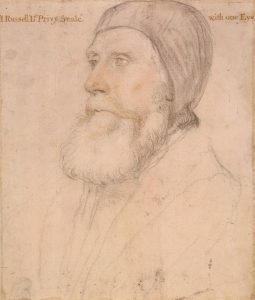 1524: Anne’s second husband, Sir Richard Jerningham died. Spring 1526: Anne married Sir John Russell. 1527: Anne gave birth to a son by Russell, he was named Francis. 1530s-1540s: Lady Anne was an attendant of Lady Mary Tudor. 1537: She rode on horseback in the funeral procession of Queen Jane Seymour. 1538: Anne wrote the below letter – Anne was also ill when her husband recovered in October, she was pregnant. There is no more information of whether her child survived. 1543-1547: During the reign of Queen Katherine Parr, Anne was listed as ‘Laundress’. 1550: Anne became Countess of Bedford when her husband was raised to 1st Earl of Bedford. 1554/5: John Russell, 1st Earl of Bedford died. 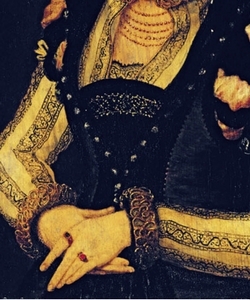 1558/9: Anne Russell, Countess of Bedford died. In 1506 John Russell was of service to Archduke Philip of Austria and Juana his wife (King and Queen of Castile) when they were shipwrecked off Weymouth, and escorted the royal couple to the royal court in London. He was one of the most accomplished gentlemen of his time and so impressed them by his gracious manners that they praised him highly to King Henry VII. He became a Gentleman of the Privy Chamber to Henry VII in 1507 and to his son and successor Henry VIII in 1509, who employed him in various military and diplomatic missions during the War of the League of Cambrai. He was at the taking of Thérouanne and Tournai. He was knighted on 2 July 1522 after losing an eye at the taking of Morlaix in Brittany, and he witnessed the Battle of Pavia. In most humble manner, I commend me unto your lordship; so it is, that it hath pleased God to visit my husband with a burning ague, ensuring your lordship he was as sick and as sore handled with it yesterday as ever I saw him in my life; and as your lordship shall perceive by the letter there in, I sent to London to a chaplain of my husband’s, to send him physicians but he could get none that my husband had any mind to. Wherefore this shall be most heartily to beseech your lordship, of your goodness, that you will help him, so that Doctor Butts, or the Spanish physician, might come hither; for if they did but see my husband, he would think himself half healed. Furthermore, there is a powder that the king’s grace gave to my lord Admiral which my husband hath a great mind unto; and if your lordship could get a few of that of the king’s grace for him, you should do him the greatest pleasure in the world. At the writing of this letter, I had, nor could get, no physicians, as knoweth Him, who preserve your good lordship. It seems evident from the letter that Anne cared for her husband and his health. Whether or not she loved him we don’t know. As I continue to uncover these lesser known women from Tudor court I’m always surprised that we’ve never heard of them before – that they’re not mainstream. Anne Russell is no exception. She was a remarkable woman who survived the reign of Henry VIII, Edward VI, Jane Grey and Mary I. Very interesting. I specially like the peeks into the personal like of the women of the Tudor period. Many thanks.